OP (Biaxially-oriented polypropylene (BOPP) film)｜Mitsui Chemicals Tocello, Inc. This is a biaxially-oriented film made from polypropylene (BOPP film). It provides outstanding strength, rigidity, transparency and gloss on top of superior moistureproof properties. We offer a wide range of films with a variety of functions, such as heat sealability, all made possible by the film's multilayer structure. These films are mainly used for food, clothing, household, and personal care products. 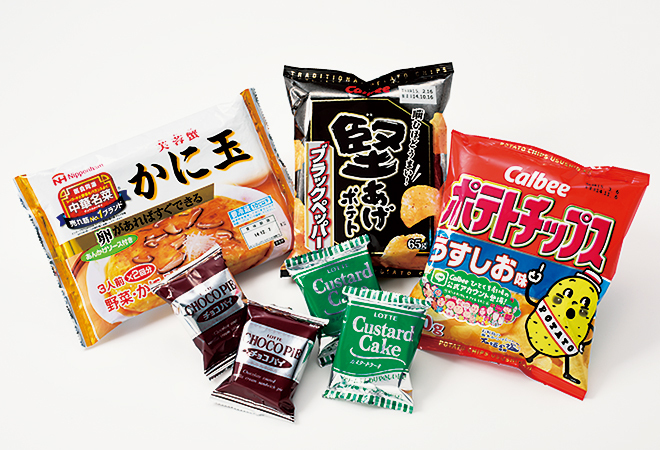 Packaging for rice crackers, snack foods, frozen desserts, instant noodles, frozen foods, processed marine products, fresh vegetables, traditional Japanese sweets and pastries, rice balls, sweet buns, textile products (shirts and underwear), sundry goods, stationery, overwrap for candy boxes, CDs and DVDs, adhesive tape, etc. Widely used as cover/base paper in general applications. OP U-2 20 Both sides Both sides are printable and laminatable. OP M-2 20 Both sides Same properties as OP M-1 only both sides are printable and laminatable. Products whose thicknesses appear in parentheses are made-to-order. Please check with us first about delivery. This is a BOPP film with a unique multilayer structure that makes it heat sealable on either one or both sides. For automated packaging and bag manufacturing. (Note) HC-OP comes in widths of 400 mm and up. A BOPP film whose unique multilayer structure provides various functions that make it perfect for a wide range of applications. (Note) Products whose thicknesses appear in parentheses are made-to-order. Please check with us first about delivery.